1984-1988, Auditor, then Counsel to the Conseil d’Etat (France). 1986-1988, Special Advisor to the Chairman of Securities and Exchange Committee. 1988-1991, Advisor in charge of monetary, financial and fiscal affairs to the Prime Minister. 1994 Deputy Managing Director, La Compagnie Bancaire, in 1994. 1997, Head of Specialized Financial Services and Member of the Executive Committee of Paribas. 1999, Deputy CEO, Caisse Nationale des Caisses d’Epargne. 2005, Deputy CEO, groupe Havas, vice-president, groupe Bolloré in 2006. 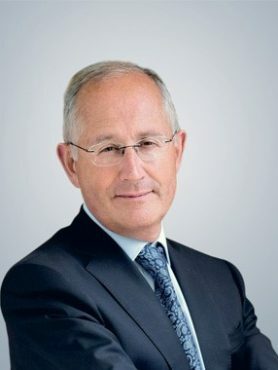 2007, Director General of RBS France subsidiary, Advisor to the Board Global Banking and Markets RBS in London in 2008 and Director General of RBS subsidiary for France, Belgium and Luxemburg in 2009. January 2011-October 2013, Deputy Director General and member of Le Groupe La Poste Executive Committee and CEO of La Banque Postale. Since September 2013, Chairman and CEO of Le Groupe La Poste; Chairman of La Banque Postale Supervisory Board since October 2013.